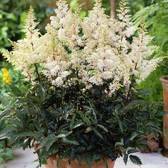 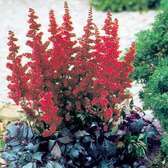 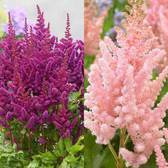 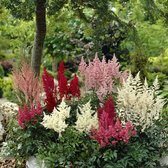 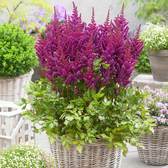 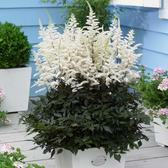 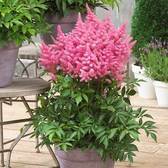 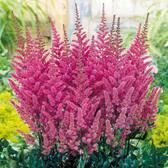 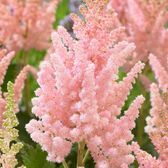 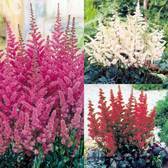 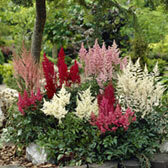 Astilbe perennial plants are a beautiful and ornamental shrubby perennial, producing gorgeous glossy green foliage that resembles a fern. 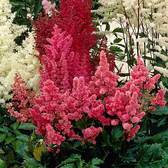 The flowers produced are colourful plumes which are often seen growing in the wild in woodland areas. 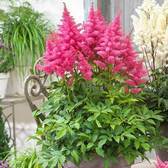 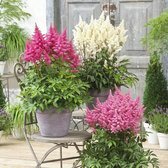 They make the ideal perennial or rockery plant, as well as being suitable for growing in pots and containers. 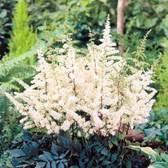 Sometimes known as the false goat's beard, they are a must for any modern British summer garden display.